An island of 293 square kilometres, located on the northwest coast of Peninsular Malaysia by the Strait of Malacca. Penang is the second smallest state in Malaysia by area after Perlis, and the eighth most populous. 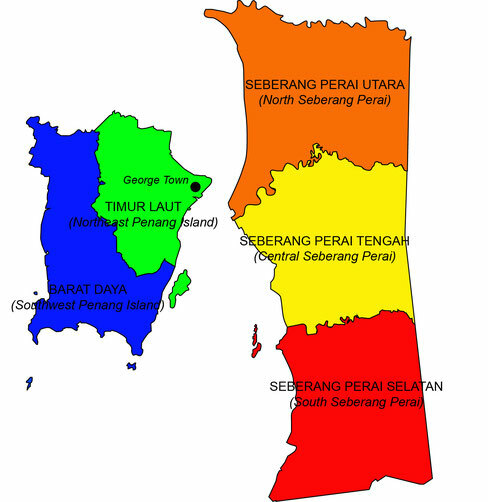 Perak consist of 10 districts, there are Barat Daya，Seberang Perai Utara，Seberang Perai Tengah，Seberang Perai Selatan，Timur Laut. Georgetown is the capital.